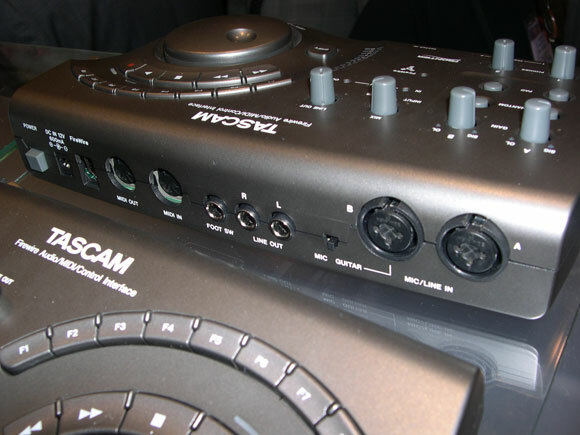 Tascam showed a FireWire interface developed with Frontier Design Group that combines a 24/192 stereo audio interface with MIDI I/O in a streamlined design that also features transport buttons and 8 short cut keys (plus a shift key). 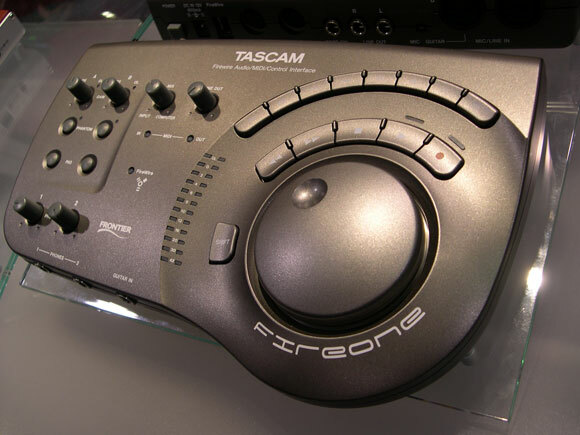 In the crowded field of stereo interfaces, the FireOne’s added control and ergonomics may provide a welcome solution to many home studios. The FireOne is scheduled to ship in March with a street price of $299 and will include Cubase LE or Ableton Live Lite (TBD). 1/4″ high impedance input for recording guitar direct Hey, Tascam — that’s guitar or bass. Poor bass players. Josh Jancourtz has been covering and photographing the NAMM show’s latest gear, special to CDM.